Mason City is home to many wonderful places that visitors and locals alike can enjoy. From the museums to the parks, restaurants to breweries, sculpture walk to historical architectural tours the city boasts a variety of experiences that appeal to people from all walks of life. 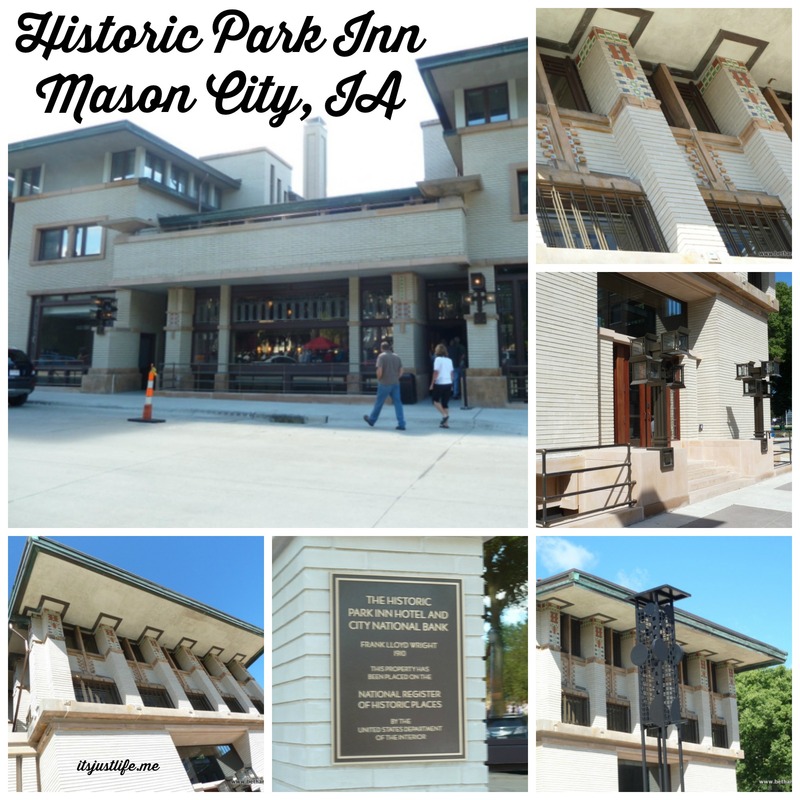 One of my favorite places is the renovated Historic Park Inn located at 7 West State Street in downtown Mason City. 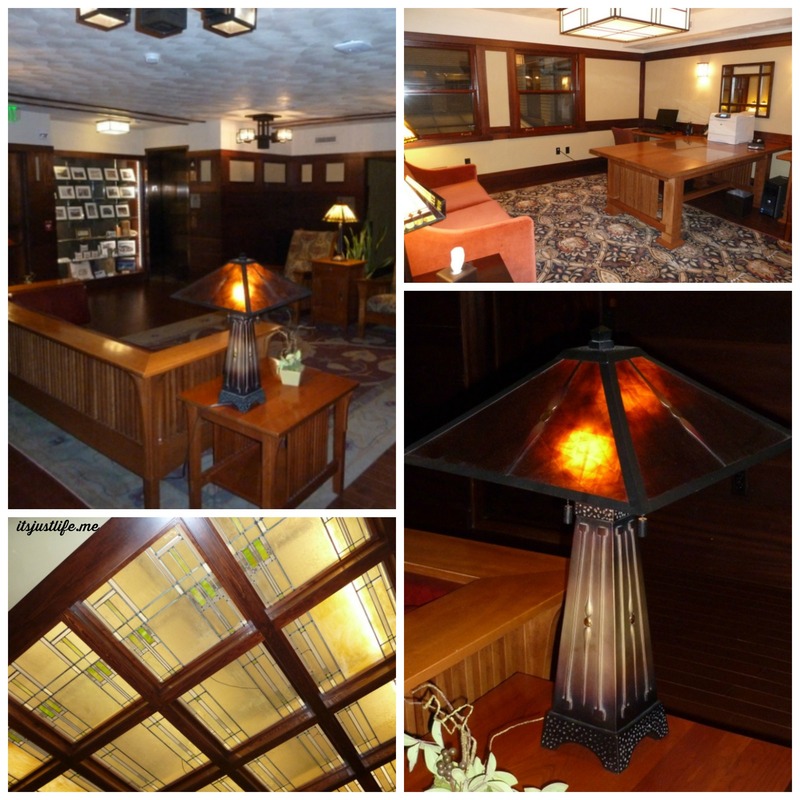 The Historic Park Inn is the last remaining Frank Lloyd Wright designed and built hotel in the world and the 20 million dollar renovation which was completed in August 2011 when the hotel opened for business after the renovation was complete. The hotel is listed on the National Registry of Historic Places and the renovations in 2010-2011 have sealed its place among the finest places to stay in the area. The history of the Inn is long and as is typical with many historic and significant buildings it fell upon hard times and deteriorated to the point that it was questionable if it could be brought back to life. What had been an amazing facility complete with The City National Bank, law offices and Park Inn Hotel that opened to the public in 1910 became a sad looking reminder of what the building had once boasted as the hard times of the 1920’s hit the area. The bank closed, the law offices moved and the hotel itself was left to try to survive as a less than wonderful establishment. Retail spaces moved in and the decline of the hotel itself continued. Concerned citizens wanted to revive the hotel and many felt passionately about the future of a significant structure that had fallen upon difficult times. With passion and a vision Wright on the Park, Inc.(WOTP), a local citizens’ organization, formed and gained IRS recognition as a non-profit organization in order to undertake The Historic Park Inn Hotel project in 2005. . Fundraising and grant searches began and soon it was apparent that this dream could and would become a reality. Memberships, private donations, grants, a Vision Mason City drive, a Vision Iowa grant, and tax credits made it possible for construction to begin in 2010. The vision of these folks has come to fruition and the hotel draws an international audience. Locals are very proud of this amazing facility which offers fine accommodations complete with all the amenities as well as the 1910 Grille which serves top notch food along with a bar in the basement of the hotel that offers a great atmosphere for that special intimate gathering. The rooms are tastefully appointed and a stay here is moderately priced and certainly worth every penny to soak in a bit of the history. The halls and walls speak volumes and the passion of those who work here and who offer tours of the building are evident. The Historic Park Inn is definitely one of the finest examples of how a town can work together to make what seems impossible possible. I guarantee that a stop at the Historic Park Inn will put a smile on your face. It is a must see when you are in the area and a place where memories are made. ← Previous Well Hello Danica! This is a fun virtual tour! We’ve never stayed here but enjoyed many a good meal. I loved this hotel when you took Randy and me on a tour. I was just telling my cousin, who loves Frank Lloyd Wright architecture, that she needs to make a trip to Mason City. Your cousin definitely needs to make a trip and spend the night there if possible. 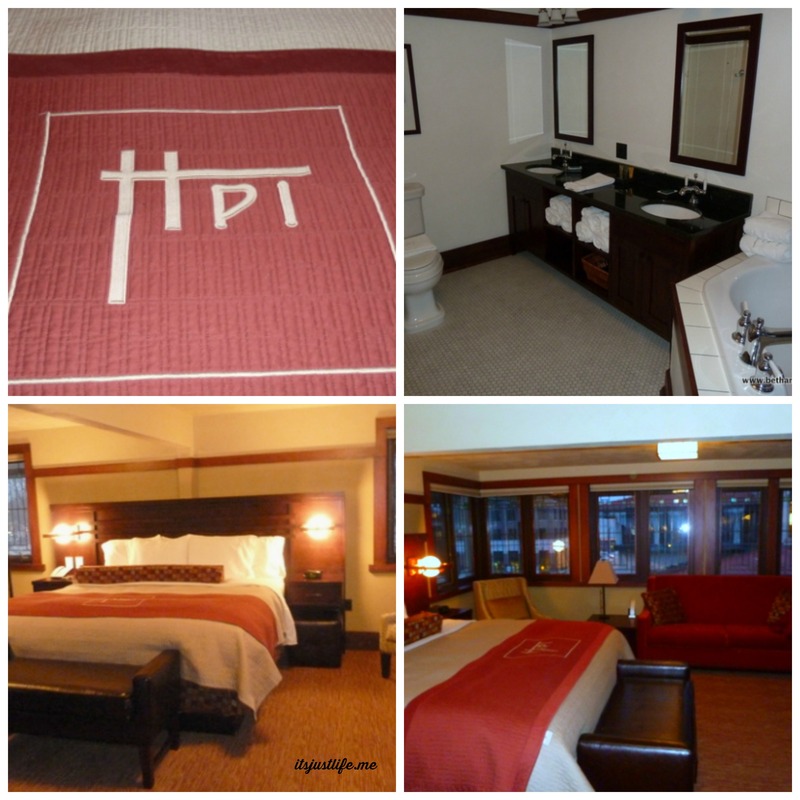 It is very reasonable and there is so much to do in the hotel and around the downtown. Oh Mary—that is so neat to know someone that had a reception there. It is an amazing place and yes–full of fun nooks and crannies to explore. I love knowing that about you! Thank YOU for stopping by and commenting. I read a book a month or so ago that was about Write which was very interesting. Your dad and I visited one of the houses he had built but I do not know which one it was. It needed some work on it but it still was fun to see it.